PFI Seeks Executive Director - Spread the Word! Send Us Your Pellet Production Photos! 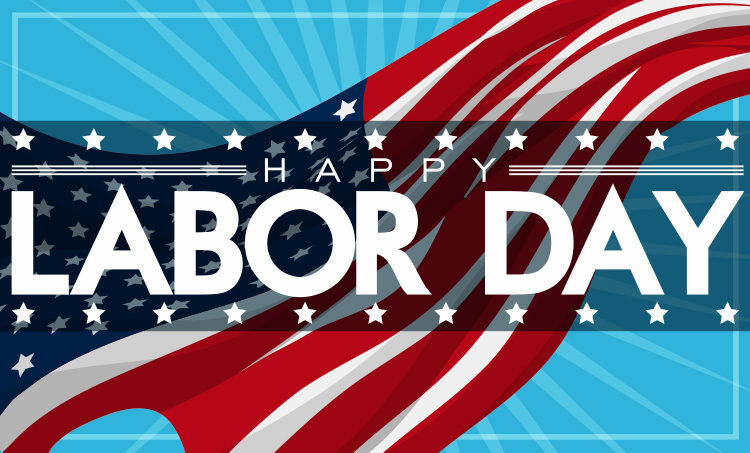 Happy Labor Day Weekend from PFI! PFI Seeks Executive Director - Know Anyone Good? We are pleased to announce that Pellet Fuels Institute has opened a search for an Executive Director! The Pellet Fuels Institute Executive Director Reports to the PFI Board of Directors to fulfill the association's mission. The ED is the key staff member and responsible for communicating effectively with the Board and providing, in a timely and accurate manner, all information necessary for the Board to function properly and to make informed decisions. The ED oversees PFI's fiscal management and oversees the PFI staff, anticipates operating within the approved budget, ensures maximum resource utilization, and maintenance of the organization in a positive financial position. The ED will also work with the PFI Board of Directors, Committees and staff to ensure that the mission is fulfilled through membership, programs, strategic planning and community outreach. The ED is expected to have good written and oral communication skills as well as strong public speaking ability. Other specific job duties follow. We welcome all references. Please see the full listing here, and direct any prospective applicants to send a cover letter and resume to [email protected] with "PFI ED Job" in the subject line. PFI will consider less than full-time for the right candidate. Laidig specializes in custom-engineered material handling systems that store and reclaim materials with special handling requirements, especially those that require exceptionally rugged and extreme-duty equipment. As a result of the decades of pioneering innovations with bottom-reclaim systems, Laidig is recognized world-wide as an industry leader in this highly-specialized field. Laidig has developed a wide range of storage and reclaim systems that can be tailored to an entire spectrum of application requirements. Please visit PFI's website to learn more. Massachusetts WWLP - 22News: Demand for Wood Pellets Starting Early at Hardwood Stores SPRINGFIELD, Mass. (WWLP) - It's still summer, but people are already preparing for the winter heating season.Right next to the grills at Rocky's Ace Hardware in Springfield, you'll find wood pellets and ice melt for sale. After a couple of cool nights, Rocky's told 22News that customers have been asking for wood pellets.The price of pellets will only go higher from here. Rocky's assistant manager Mitch Johnson told 22News, "We have some customers call in for these, and we also have customers come in see the wood pellets and then want to jump on the sale now. "Rocky's Ace Hardware advises customers that now is a good time to stock up on wood pellets and ice melt. They become harder to find once winter starts.To view the video version of this news story, please visit WWLP. 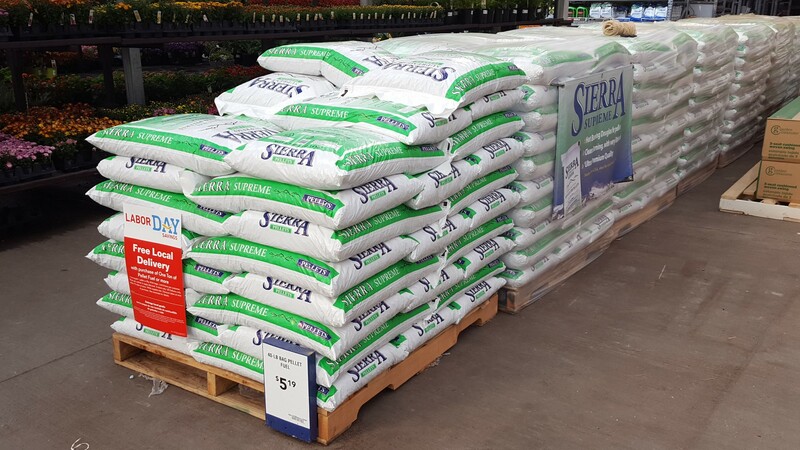 Lowes in Federal Way, WA is ready for the pellet heating season. This store is even offering free local delivery! We want to see photos of what's happening with the pellet fuels industry in your neck of the woods. Send us photos with captions - facilities, retailers, production, appliances, happy customers! We'll run the photos in Pellet Wire. The fight over a wonky but high-stakes report about how U.S. EPA accounts for biomass's greenhouse gas emissions continues. A panel of EPA's science advisers convened yesterday in Arlington, Va., to hash out whether the members of the 47-member Science Advisory Board (SAB) could reach a consensus on a long-awaited report to offer regulators guidance about how to account for carbon emissions from the burning of bioenergy. Their task: to close the gap between diametrically different and strongly held views on how emissions from the burning of forest trimmings and agricultural waste products like manure and sugar cane should be measured. Some members of the advisory panel say the report, which has been in the works since 2011, should be scrapped, an "unprecedented" option. Many arguments exist for promoting wood as a heating fuel source: It's a renewable resource that eases our dependence on fossil fuels. It provides Massachusetts loggers and landowners with a steady source of income and reduces American reliance on foreign oil supplies. But there's also this inconvenient truth: Massachusetts has more air pollution from wood combustion than any other New England state, according to a Pelham environmental group's analysis of federal data. That fact, along with the knowledge that burning wood speeds climate change, should give Massachusetts officials pause as they prepare to add boilers fueled by "woody biomass" - wood chips or pellets - to the list of alternative energy sources eligible for government subsidies. A fire at Northeast Pellets mill in Ashland destroyed all of the 500 tons of bulk pellets stored in two silos. The Fiddlehead Focus reported it was the second catastrophic fire suffered by the plant since it opened in 2006. Chief Don Bouley of the Ashland Fire Department told the paper the cause is under investigation. "With this type of industry, you get a lot of fine-powdered dust, and that's not good," Bouley said. Owner Matt Bell, who started Northeast Pellets as the state's first pellet manufacturer, said he planned to rebuild. The plant employs 11. The company still has 2,500 tons of bagged pellets in inventory. Northeast Pellets sells direct to consumers from the mill, at more than 20 retailers in Maine and four stores in Massachusetts and New Hampshire, as well as in bulk to large customers such as the University of Maine at Fort Kent, which operates a biomass boiler with the local school district.